Do you have a car mad friend? Or a brother who is always modifying his vehicle? The major problem we all face is what exactly to get them for birthdays! Even if you find something car-related they may like, you won't know which specific part to buy. Simply crossing your fingers and picking anything will usually result in an unwanted gift that spends time gathering dust. And forget about that car-shaped keyring – it’s nothing but a cop-out in the car fanatic’s eyes! By far the best idea is to give them a Zunsport gift voucher! Rather than buying a custom grille yourself and making the wrong choice, get them a Zunsport voucher instead. Our range of gift cards are available in £25, £50, £75 and £100, so you can pick a voucher value that is right for you. If you have a car-crazy friend who you think would love one of our gift vouchers, picking one up is simple. Just head to our online store and purchase the gift card of your choice. The gift cards we offer are valid for one full calendar year after purchase. What Makes Gift Vouchers The Best Present? You know that your friend loves cars. You know that your brother loves grilles. But that’s as much as you know – if you’re not into grilles yourself, how could you know which specific grille he or she will like? You can’t go and ask them – that would give away the surprise! Around 40% of presents are unwanted in the UK, with £850 million being wasted on gifts people do not want during Christmas alone! To avoid pouring your money down the drain, a gift voucher is an ideal solution. This will give your friend or relative the freedom to choose the grilles they really want. We all love getting people presents but it can involve a lot of hassle sometimes. When you think of the time spent desperately trying to think of what they would like and then add that to the time spent going out to get it, it can be stressful. As gift vouchers can be ordered online, they give a quick and easy way to find the best present. Whether it is a friend's birthday, a Xmas gift for Dad or a leaving present for someone at work, gift vouchers are suitable for all occasions. If the person you are buying for loves woven mesh car grilles, stainless steel car grilles, custom grilles or any kind of car grille, our gift vouchers are the ideal present. 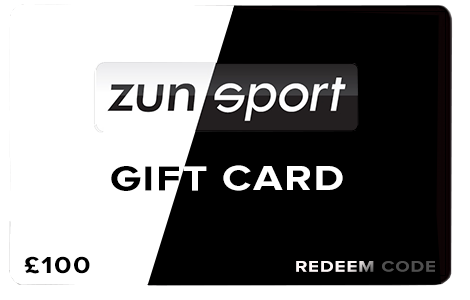 Visit the Zunsport website today to order yours.